Join us for the FREE SCREENING in GSC Melawati Mall this weekend before the grand launch next week!! 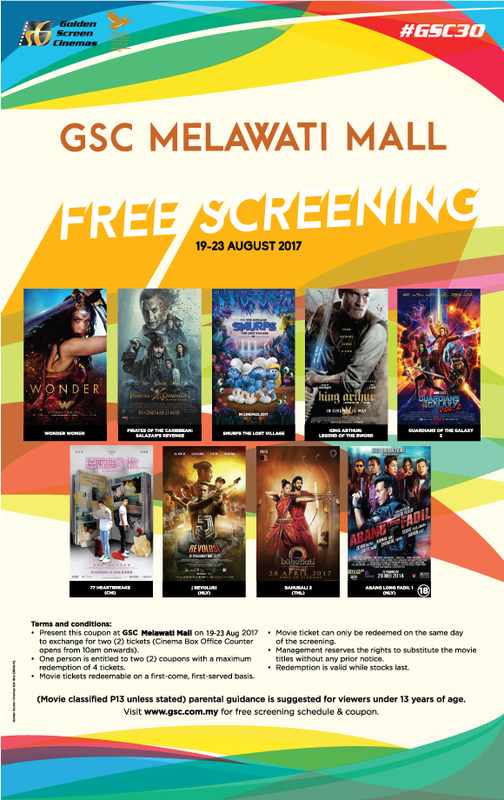 What you need to do is the PRINT OUT the voucher and redeem it on the day at GSC Melawati Mall!! Free Screening Details: Print out the FREE SCREENING VOUCHER above and redeem 2 tickets at GSC Melawati Mall. Each Individual is entitled to two (2) coupons with a maximum redemption of 4 tickets. Only at GSC Melawati Mall from 19 August - 23 August. Movie ticket can only be redeemed on the same day of the screening. 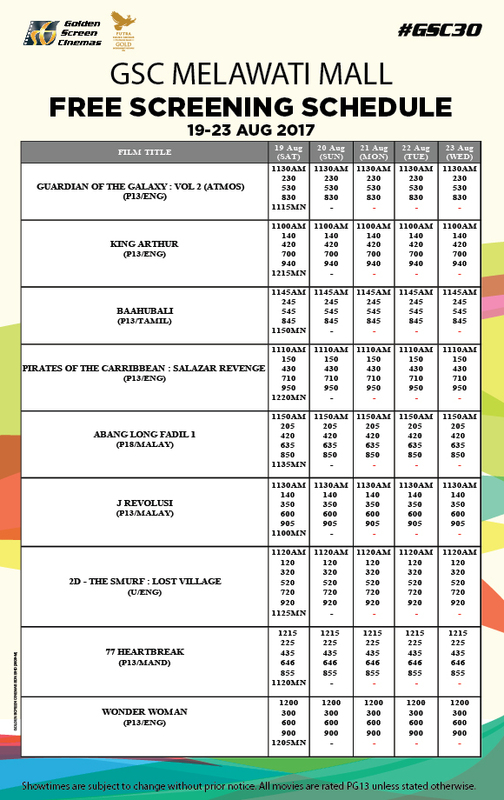 GSC reserves the rights to substitute the movie titles without any prior notice. Redemption is valid while stocks last.